A universal motor is called universal because of this flexibility, although they almost always operate on AC power. The universal motor is able to operate on alternating current power because of the in sync alternating of the magnetic field and the armature which causes force in a constant direction. 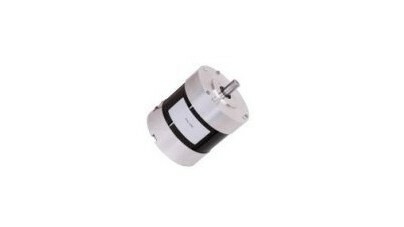 However, a universal electric motor offers an advantage over regular AC motors because they have a high starting torque level which is a characteristic of DC motors, as well as high top speed and compact operating designs. Yet, the motors are still able to be powered by commonly found AC power supplies. Universal motors offer the combination of features and in applications where the combination of high speed operating with light engine weight is desirable, universal motors are an ideal solution. For products such as hairdryers, blenders, power tools and vacuum cleaners, universal motors are suitable to meet the requirements of intermittent high powered usage. The disadvantage, however, is that a universal motor has a considerably shorter life than other types of miniature motors, and even though it is a simple and reliable design, a universal motor will wear our relatively quickly. For this reason, a universal motor is most often found in AC devices that are only used intermittently such as blenders, vacuum cleaners, power tools, clothes washers, fans, and blow dryers. These applications require high torque starting speeds but are typically only used for short bursts of time, thus reducing the wear and tear on the engine itself. In higher powered applications, universal motors are also used, such as railway motors for electric system railways, however these motors are typically found in a range less than 1000 watts, therefore they may also be referred to as fractional horse power motors, or FHP motors. Another useful feature of universal motors, as with some other types of small electrical motors, is that they are able to control the speed through electronic controls and to reverse the direction of an appliance such as a washing machine. On washing machines, as with other domestic appliances, universal motors have to be used within the parameters of their speed and effectiveness, and load weight should be taken into consideration to ensure minimal motor wear, although they will eventually need replacing. Universal Motors A universal motor is a rotating electric device that is designed with the capacity to effectively operate on either direct current (DC) or alternating current (AC) supply. Both DC and AC motors are widely used yet unlike AC motors, a universal motor can be used for high-speed operations.